Happy 1 week until Christmas! Can you believe it? 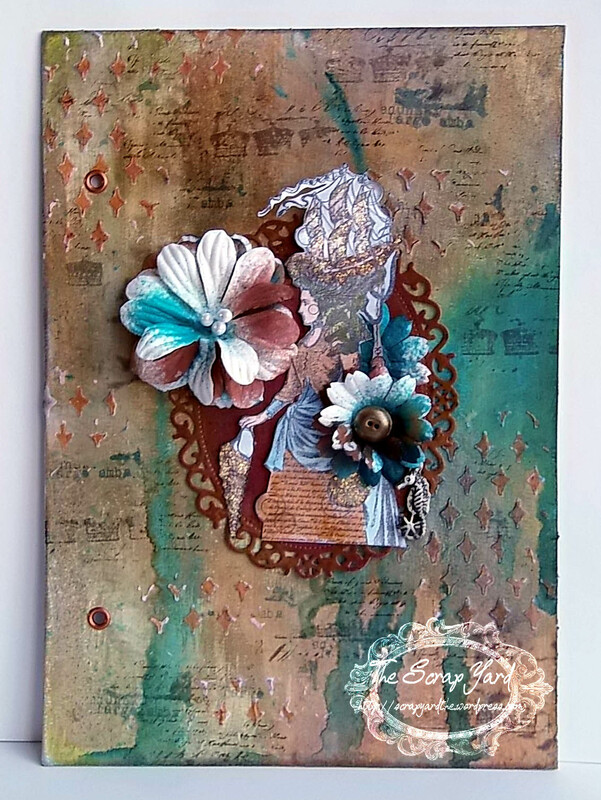 Today I am over at the PaperArtsy Blog sharing an altered December Daily album. Here is a little sneak peek of what you will see. Thanks for stopping. I love the little vintage toys that are part of the Toy Emporium stamp set by Artistic Outpost. 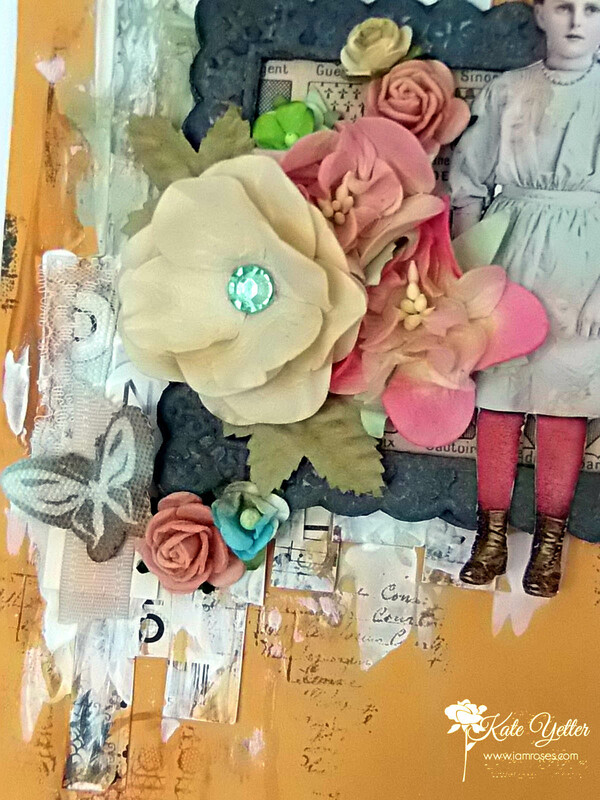 I clustered them in the lower right hand corner of the shadow box ad-mists the tulle and flowers. The leaves were cut out using the fancy foliage die. I added some Stickles to the leaves for sparkle. 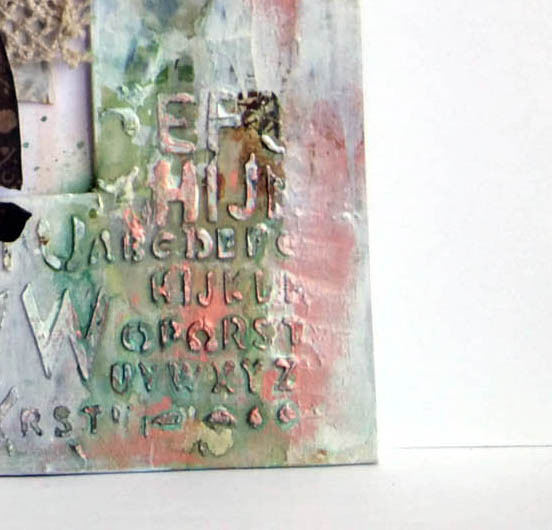 The background of the box has been painted with gesso and acrylic paint before adding stamping. Thanks for looking! Welcome to this month’s product focus for Artistic Outpost . The theme is Masculine, perfect for the upcoming Father’s Day. 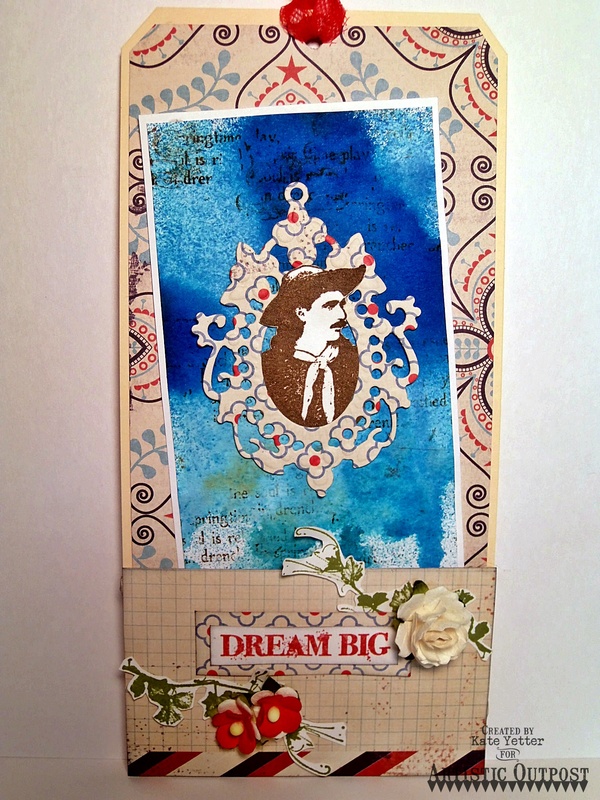 I chose to work with the new Wander and Dream stamp set, perfect for our theme. I made a tag pouch and tag using patterned paper and paints. The vines are stamped from the Hayride set. The script stamp in the background is from the new Springtime set. For more masculine themed projects and inspiration please hop along to each Designer’s blog. Thank you for looking! October is here! 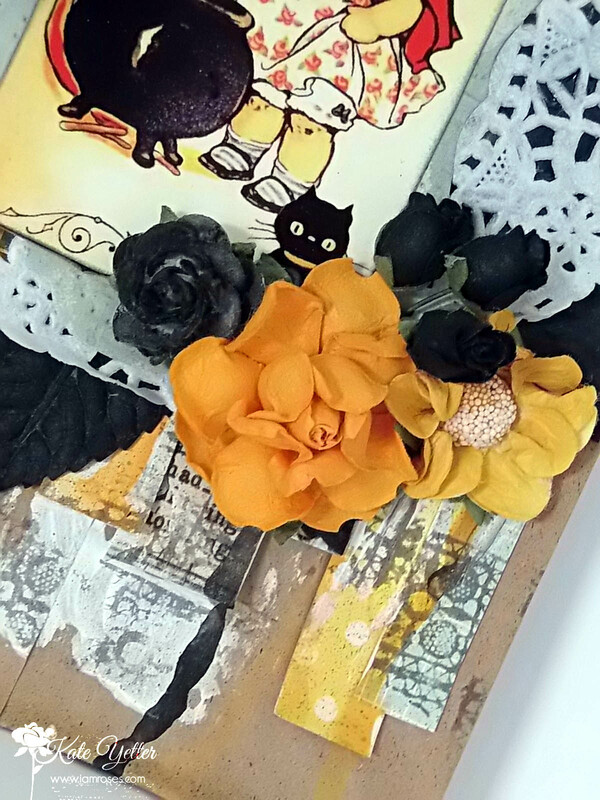 Our theme over at the I Am Roses Challenge Blog this month is Orange, Black and a Bag. I made over this brown paper bag using lots of flowers, black leaves, a doily and a lot of paint. 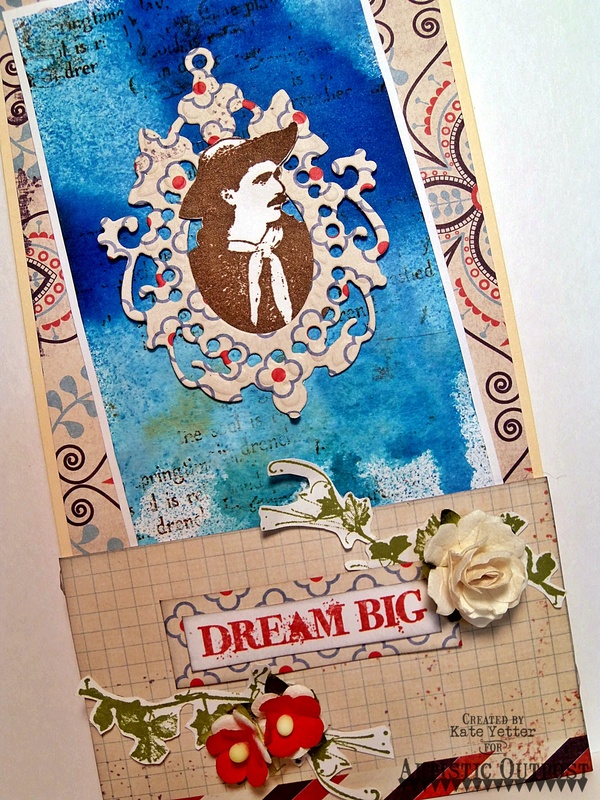 I hope you head over to the blog to see all the beautiful creations by the design team. Don’t forget to join in the challenge! Hello everyone. 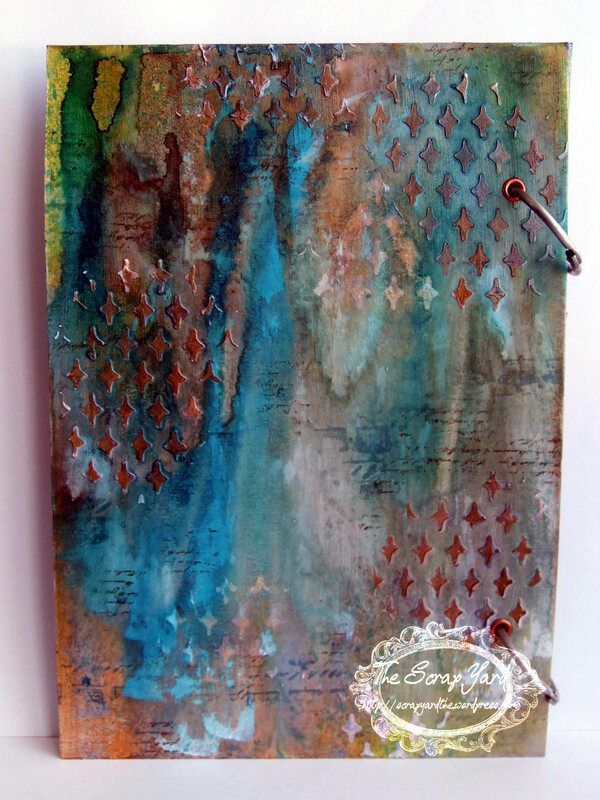 This is my last week over at the PaperArtsy Blog as a guest designer. I hope you will head on over and have a look. 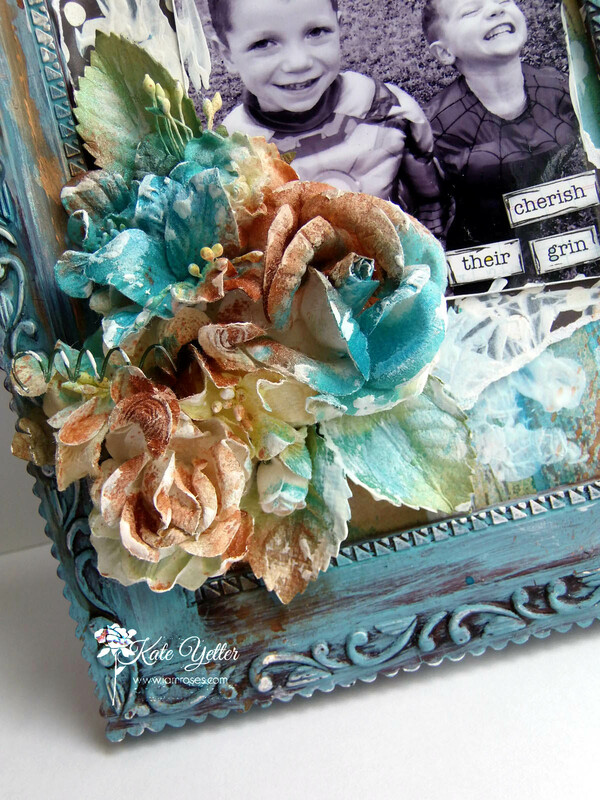 Today my project is an altered frame box. 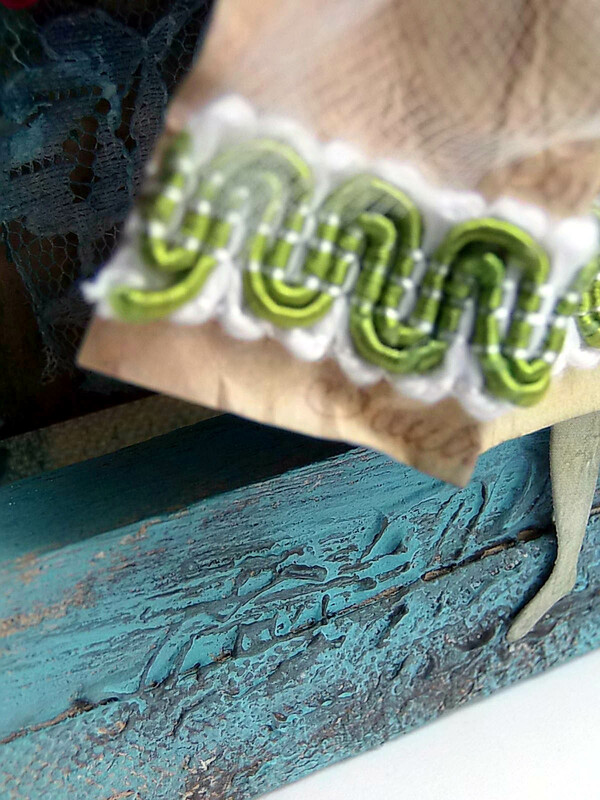 Here is a sneak peek but to see the whole project you will have to visit the Blog. 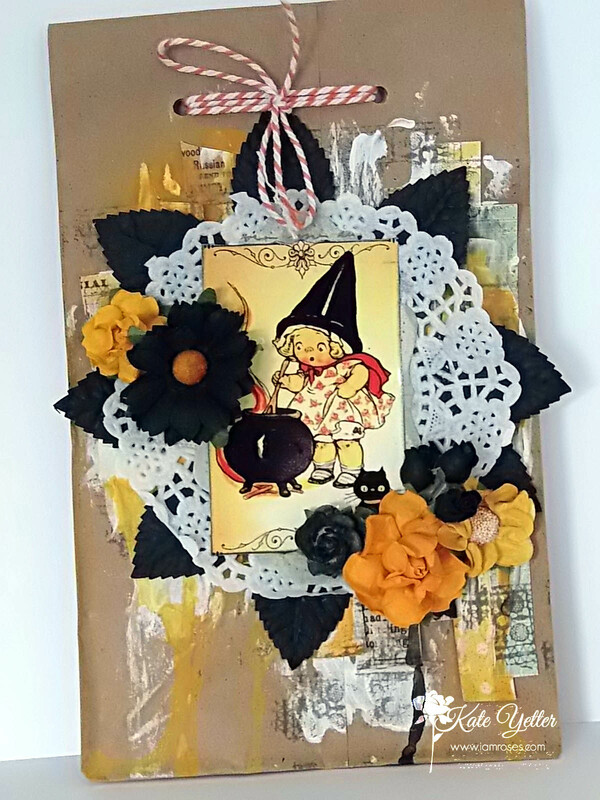 I made this wall hanging some time ago for Pink Persimmon using Lisa Pace’s Antiquated Collection. I cut lots of circle die cuts and rolled them up and added hat pins to each piece. 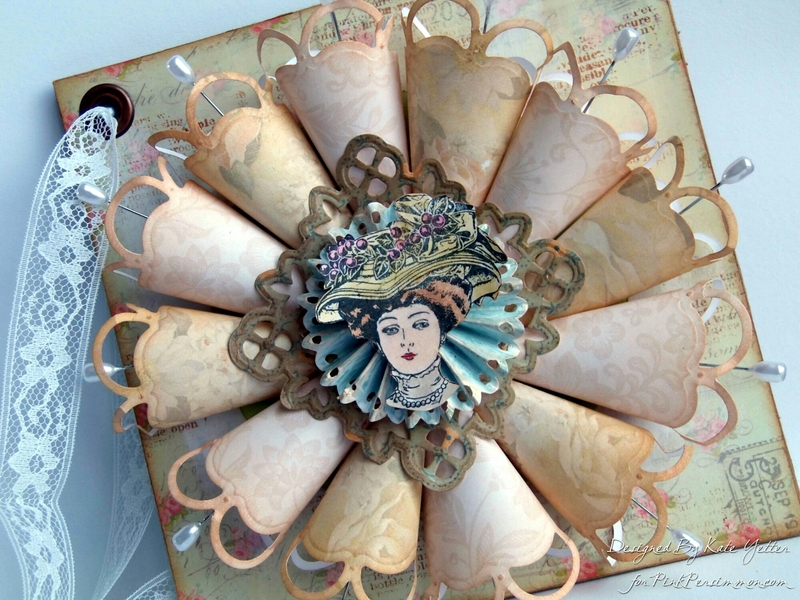 I place them in a rosette fashion and added a die cut and my stamped image over the top. 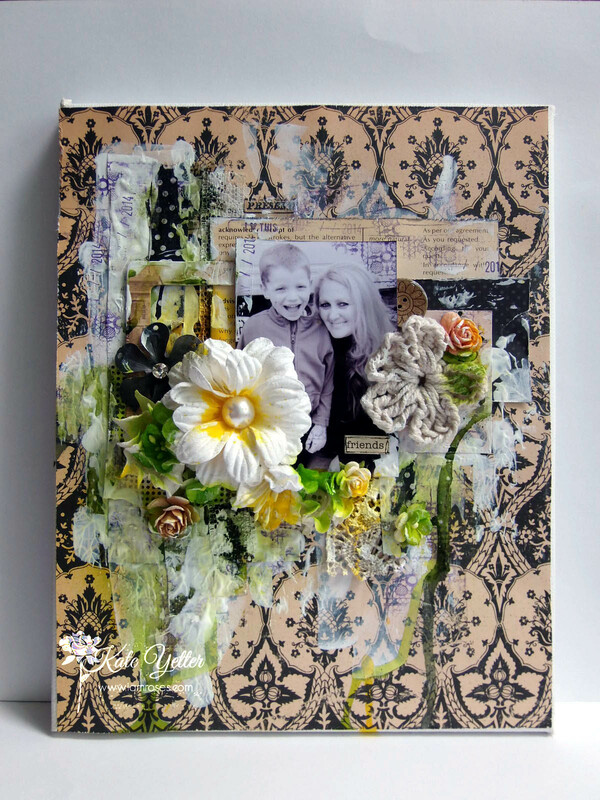 Wow, August is here and so is this months challenge over at the I Am Roses Challenge Blog. The theme is to make something for a Friend. 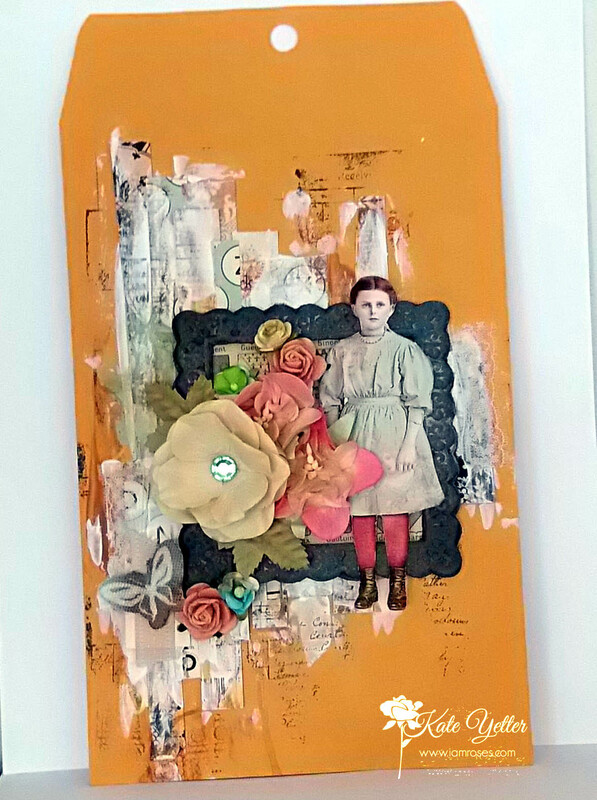 I made this mail art using paper scraps, gesso, paint, stamping, a frame and lots flowers. Take a look at the blog to see all the designers projects. 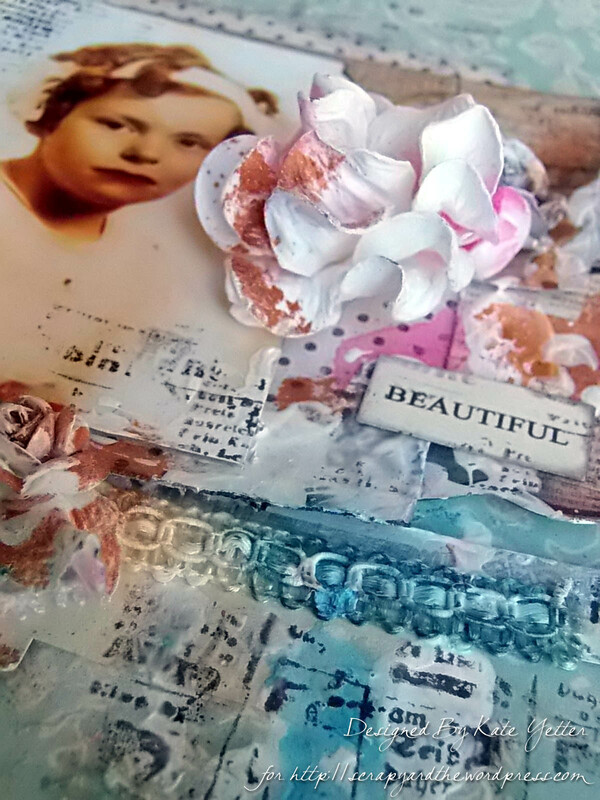 Here is a sneak peek of my project over at the PaperArtsy Blog today. I really love how this one turned out so hop on over and take a look. I have two more projects this week so stay tuned. Hello! I made this stamp holder some time ago but have not had the opportunity to share before now. 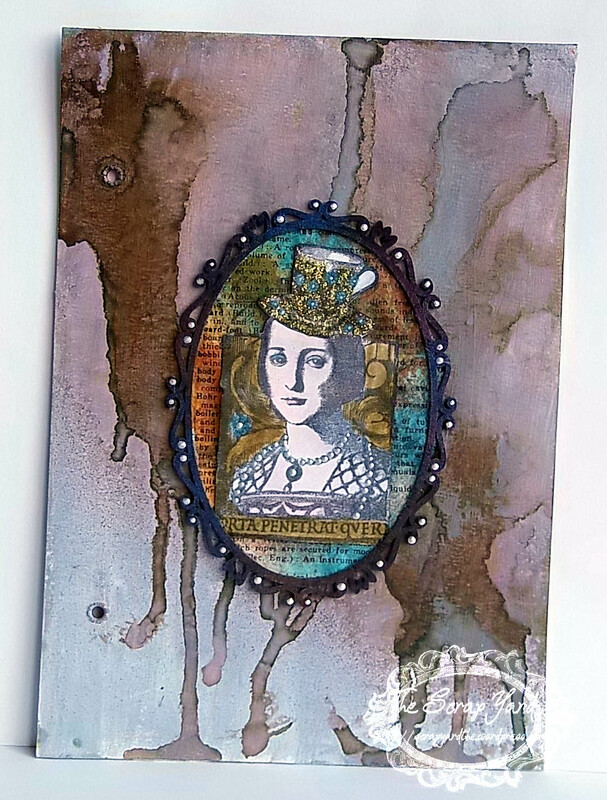 I used a set of Lynne Perrella stamps I won from one of the challenges over at PaperArtsy. My background is chipboard. 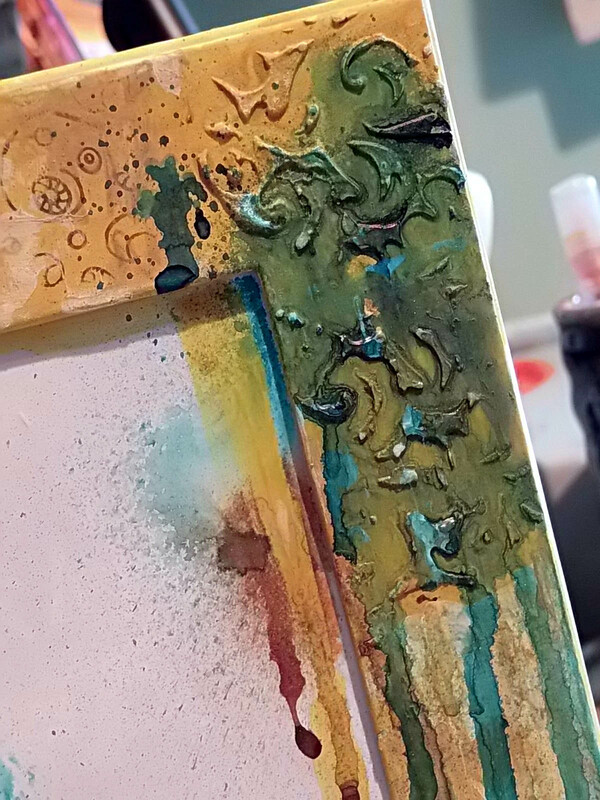 I used molding paste and a stencil to create texture and then dripped paint. 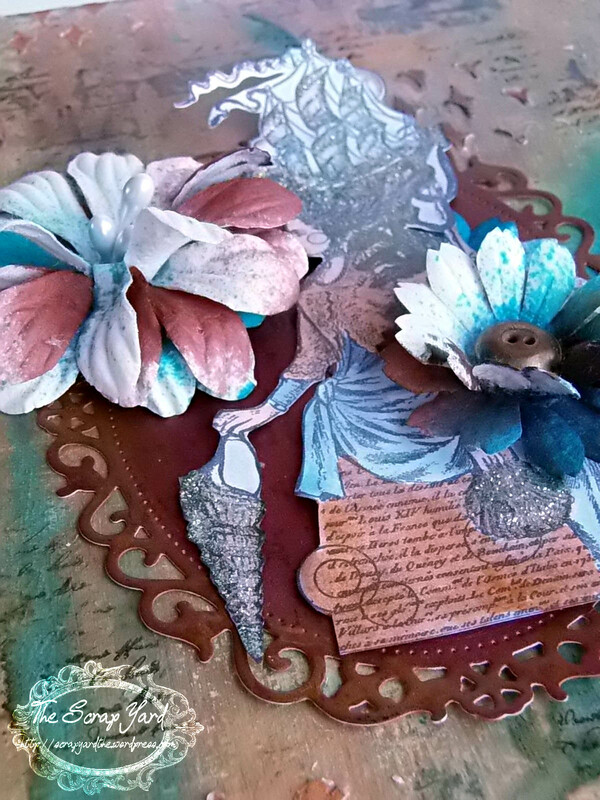 I added a die cut and a few flowers on the front cover to embellish. Here is one of the inside covers. The back cover. Thanks for stopping by and for all your encouraging comments. This month’s post for I Am Roses is a canvas I made of my son and his bus driver. She is really missing him now that we moved but I made this canvas for her to remember Winston. Can you believe I made this after my craft room was all packed in boxes? All I had available was a few items at the top of the box. It was a fun challenge to craft with just a few items I had on hand. I hope you are enjoying your summer. I am loving all the time with my family! It has been a while since my last post. We are all moved into our townhouse and mostly unpacked so I am hoping to start crafting again and posting more consistently. This post is a bit late but I have an excuse…I have been busy. 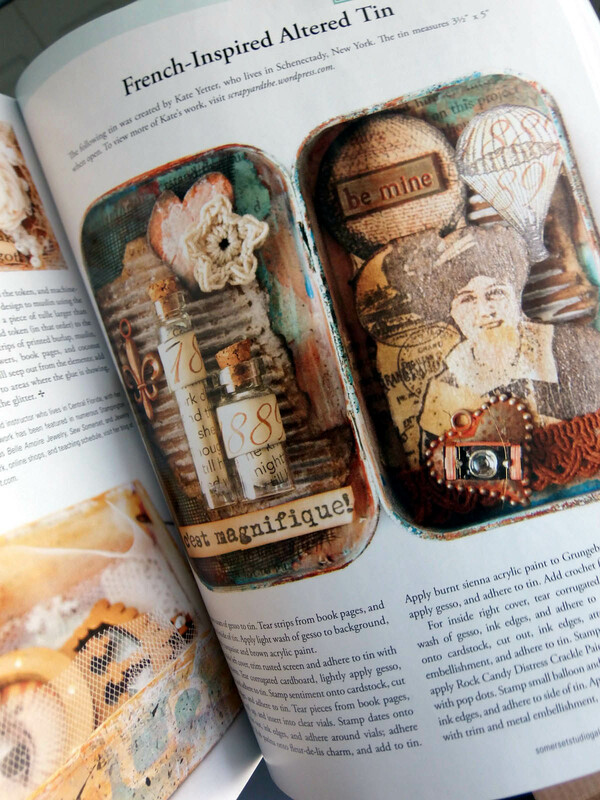 My tin was recently published in the June issue of Somerset Studio Gallery. I am so excited as this was my first time being published! 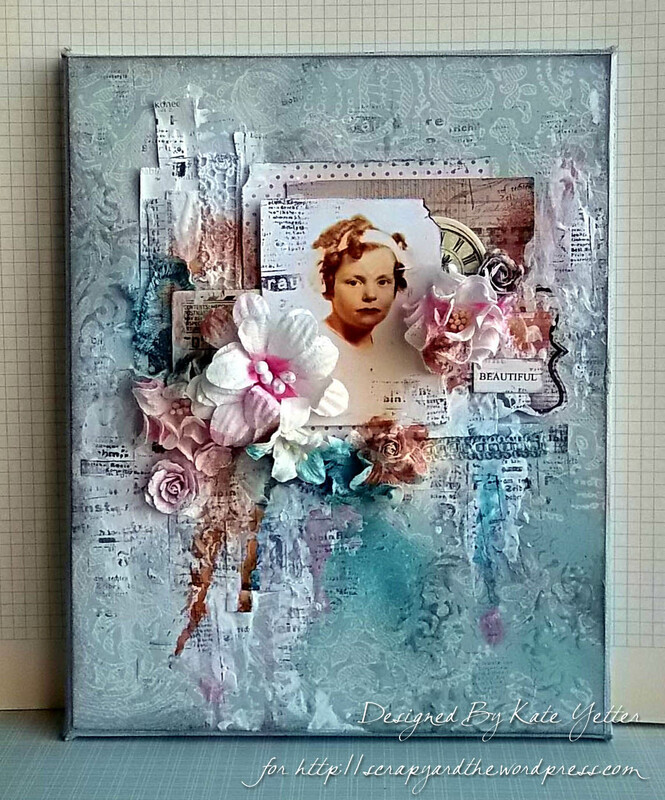 It is moving week for us so I am sharing a canvas I made some time ago using a picture of my Grandmother. I am not going to elaborate on how I did it because of time so the pictures will have to speak for themselves. 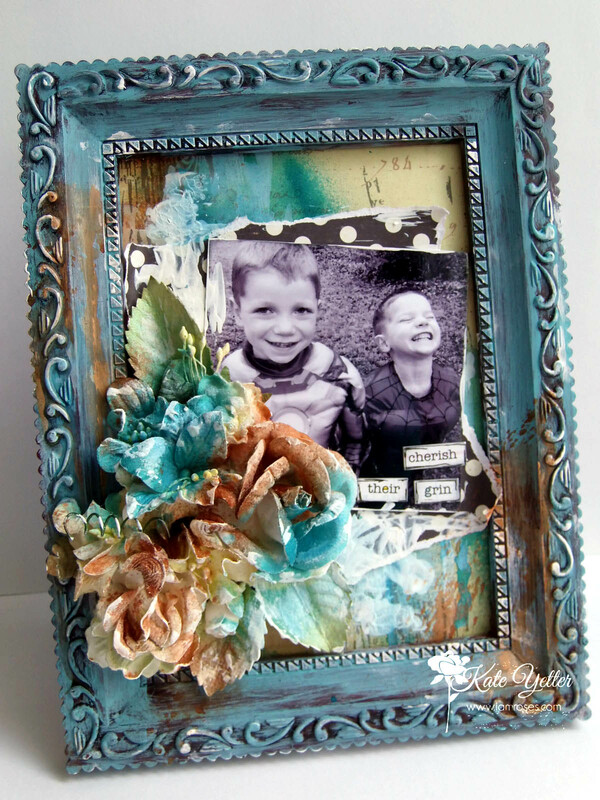 This months challenge over at I Am Roses Challenge Blog is altered frames. I got this frame from the dollar store. It was a mahogany color but I wanted it to be a patina finish. 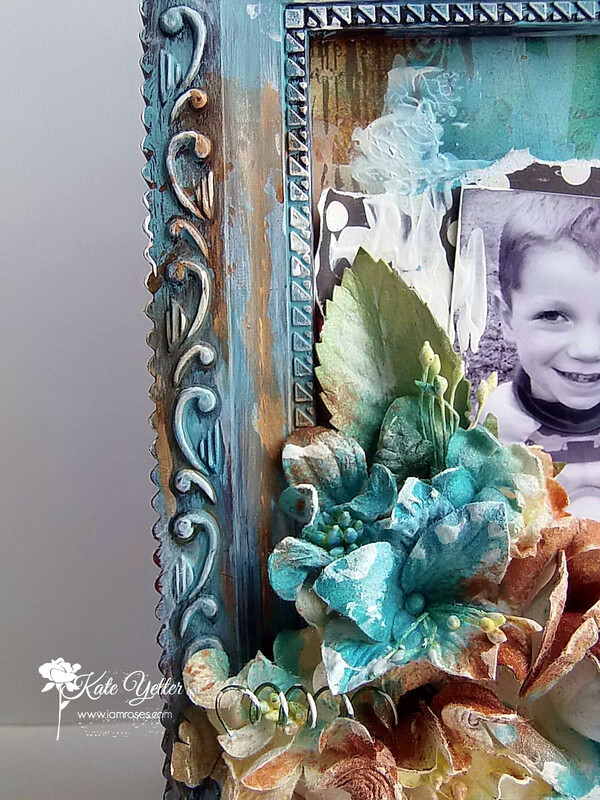 I painted the frame with Fresco Finish paints and used a bunch of beautiful flowers from I Am Roses. 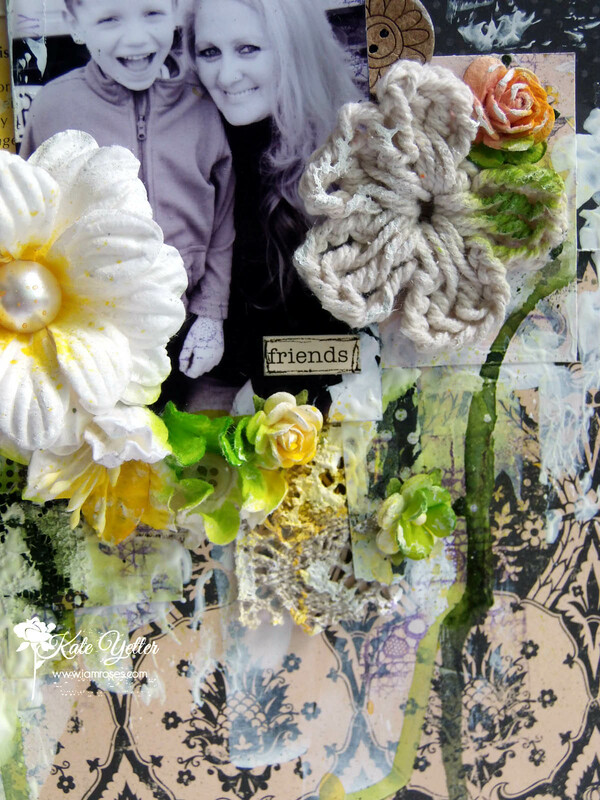 Hop on over to the blog and check out all the projects by the design team. I am back again to share another sneak peek for project 2. 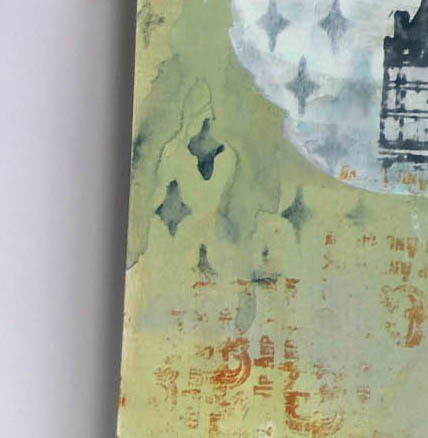 Today I am sharing my tutorial for the back cover of yesterday’s Art Journal. To see the whole project check it out Here. Thanks for stopping! 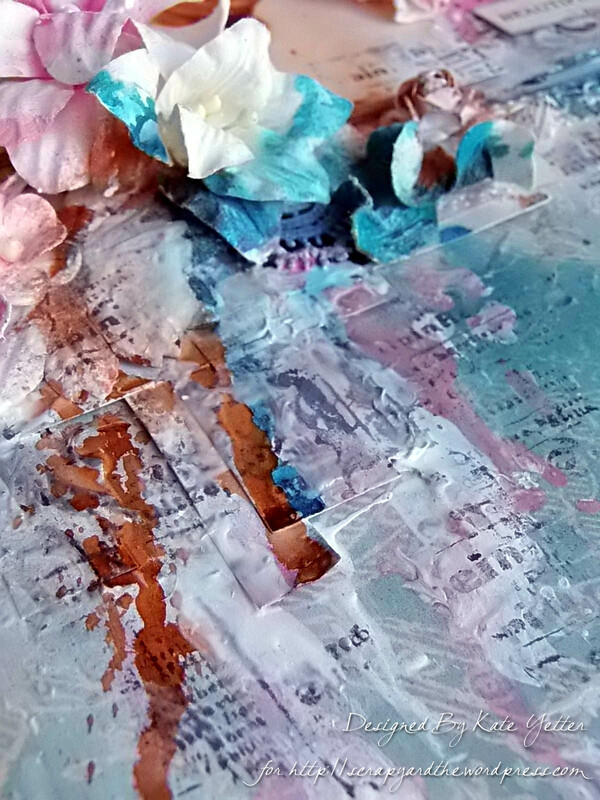 I am so excited to announce that I am a Guest Designer for this semester over at the PaperArtsy blog. Did I mention I am excited? Their products are amazing and I have had so much fun working with them. Here is a little peek of my project. Head over to the blog to check it out!